Urban Ecosysterms. Permaculture entrepreneur Jason Raschke, President of The Center for a Sustainable Today and creator of Urban Ecosystems, shows off his own city space and explains how we can landscape an urban yard into a permaculture oasis. Jason has restored the native habitat which attracts birds, bees and boasts a veritable trove of edibles. Enjoy and learn how his space is a system of interweaving elements that feed and grow cooperatively. 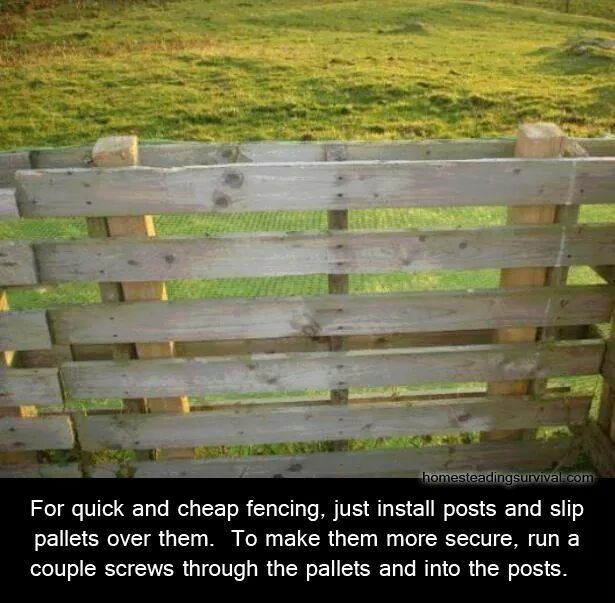 "For quick and cheap fencing, just install posts and slip pallets over them. To make them more secure, run a couple [of] screws through the pallets and into the posts." "I believe that even 'returning-to-nature' and anti-pollution activities, no matter how commendable, are not moving toward a genuine solution if they are carried out solely in reaction to the over development of the present age." 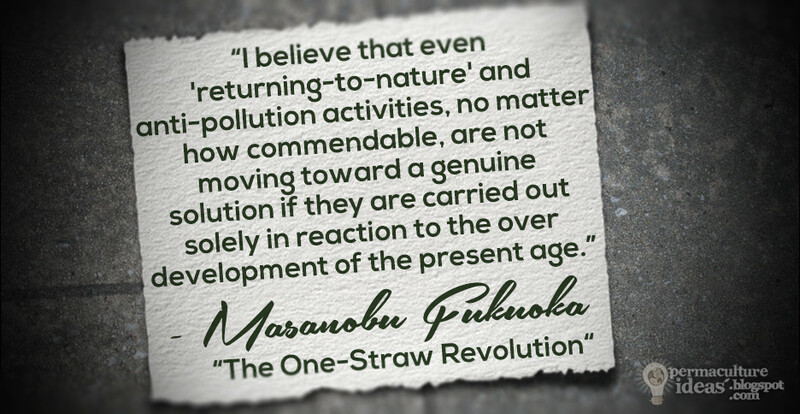 Masanobu Fukuoka "The One-Straw Revolution"
I think a perfect example of this is Richard Branson's $25 million prize for an invention that combats global warming. The "nothing to see here, please carry on with your destructive tendencies" approach to solving environmental issues is keeping us from seeing the real damage we are making. Geoff’s long term strategies are becoming evident, and it really is a sight, and site, to behold! Zaytuna Farm is a demonstration site and education centre in the village of The Channon, near Byron Bay in northern NSW Australia, and the home of PRI Australia. The property is 66 acres/27 hectares of ex beef cattle/ex dairy farm land. It was first purchased in 2001 and has since been under constant development and evolution as a demonstration site of permaculture design and land use and operating as an education centre. They provide 10 week internships, which include Earthwork Experience, Gardening, Teaching, and Animal Husbandry. 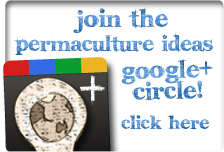 If you'd like to find out more about opportunities to learn more about such fields, visit the Permaculture Research Institute website. For more information and some inspiringly wonderful images of the site, visit the Permaculture Research Institute's page for Zaytuna Farm, by clicking here. Gardening Enthusiast Finds A Special Visitor in the Garden! 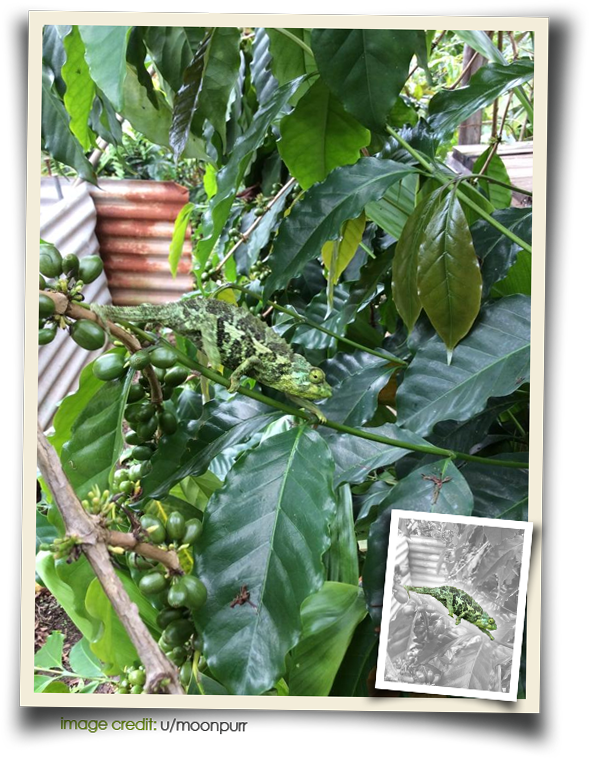 What a thrill to find any kind of predator in the garden, but redditor gardening enthusiast moonpurr has an extra novel visitor... a Jackson's Chameleon (Chamaeleo jacksonii, or Trioceros jacksonii)! With an added novelty, this one is pregnant! moonpurr is a resident of Hawaii, where these animals have become a rare spotting due to a few years' running drought, but as the rains return so are they. The Jackson's Chameleon is not a native species to Hawaii, so not having as many might be a good thing. They used to be everywhere in almost every tree, according to moonpurr. They are actually native to the humid, cooler regions of Kenya and Tanzania, East Africa but were introduced to Hawaii through the exotic pet trade. Despite being non-native to moonpurr's back yard, what an exciting predatory element to the garden. I'm dead jealous! This article was sourced from Appalachian Feet. Please enjoy the full documentary "Portrait of an Urban Beekeeper". Feel free to spread it as much as you would like. If you enjoyed the film and would like to leave a tip, visit the film's vimeo page. The music in the film was written by Tom Brosseau from his album Posthumous Success. I highly recommend listening to his music. Photo Blog #145: Apis Mellifera at work. If you enjoyed this documentary, think about leaving a tip (by clicking here, and finding the Tip This Video button under the video's description).